3 What is CCC Debt Management? 4 How does a CCC Debt Management Plan work? 5 Does CCC Debt Management charge for this service? 6 Is a CCC Debt Management Plan right for me? 7 What should I expect from a CCC Management Plan? 8 What do I need to do next? CCC Debt Management or consumer credit counseling debt management is an NFCC approved system to manage and get rid of impending debts. NFCC or National Foundation for Credit Counseling licenses agencies or companies across the country to offer CCCS or consumer credit counseling services. Any agency accredited by the NFCC would offer standard approaches to debt management. 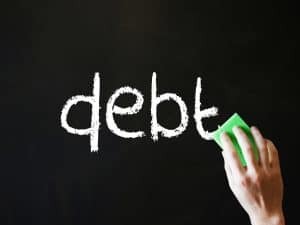 Anyone who has more than one debt and is finding it increasingly difficult to pay off or to keep paying the debts should take advantage of CCC debts management. The first major advantage of CCC debt management is the aversion of any practice that would be questionable or unwise. There are many debt management companies that don’t work in the best interest of the debtor or indebted. They tend to focus their interests on making money, thereby not offering the best possible deal to the consumers, which they naturally deserve having already struggled with the debts. NFCC accredited CCC debt management services will have absolute focus on the consumer interest at all times. Debt management is not just about assimilating the debts and getting a better deal to pay them off. It also involved education, financial planning, budgeting and all kinds of associated resources to help a consumer get over the debts as soon as possible. Financial planning including budgeting assistance can change the immediate lifestyle and savings of a consumer. Financial education can make a consumer a better investor. Additional resources can help one to manage their existing income, savings and debts much more conveniently. There are certain obvious advantages of CCC debt management. All existing debts are piled onto as one debt. The creditors are paid off and there is only one creditor to pay back. There is one loan with possibly a much lower rate of interest and thus a reduced accumulated installment to pay every month. The whole program is designed to make all debts get settled in a span of three to five years. In worse circumstances, this period could stretch up to ten years, especially if the loan amounts are massive. The monthly savings by the virtue of the reduction in rate of interest through CCC debt management, having only one rate of interest for all debts and easy coordination with a single point of contact who would be more helpful than collection agents of creditors can make a world of difference for the consumers. What is CCC Debt Management? Debt Management Plans provide help and guidance to people who need it the most. There is a rise in the number of people struggling with debt and it is having a traumatic impact on their and their family’s lives. The plans are informal arrangements that help people get back in control of their debts so that they can finally be free from debt. How does a CCC Debt Management Plan work? The way the plan works is the company will work on your behalf to set up a payment plan with your creditors to make your monthly payments more manageable. They will set a plan based on what you can afford and pay your creditors accordingly so that it is chipping away at the amount of debt that you owe. Does CCC Debt Management charge for this service? There will be no set up or admin fees put in place to set up debt management plans for customers. All money that is provided and available is entirely put towards paying off the amount of debt owed. Is a CCC Debt Management Plan right for me? If you are in the position where you owe a lot of money and are under extreme pressure trying to pay it back to the point it is having a detrimental effect on your health then it is time to ask for help. CCC Debt Management are there to provide you with expert advice and discuss with you exactly what is the best action to take to get yourself free from debt. What should I expect from a CCC Management Plan? Once you have discussed your situation with an adviser, with guidance you will decide on the amount of money per month you will realistically be able to afford to pay. This payment will be made once a month. This money will then be divided between your creditors to pay off the debt owed. CCC Management in some circumstances are able to freeze interest charges to enable you to pay off the debt quicker. All you simply need to do is first fill in a simple application form detailing your basic personal information and details of your debtors and how much you owe. Then an adviser will make contact and provide you with expert knowledge of the best way to pay off your debt. They will be there every step of the way, providing you with the most professional reassuring service at a very challenging time in your life. There is also CCC Debt Consolidation Restructuring Your Finances and Credit Cards Deals.